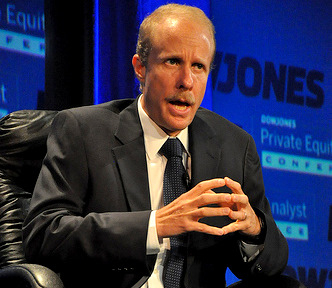 Above: Stephen Feinberg is CEO of Cerberus Capital Management, which has taken an investment position in RG Steel. Cerberus Capital Management, one of the country’s leading private equity investment firms, has tossed a lifeline to RG Steel, committing new capital to the cash-short owner of Sparrows Point. After days of rumors about a mystery investor, RG Steel tonight confirmed that affiliates of Cerberus have “committed to provide RG Steel with significant new capital.” The release adds that Renco Group, RG Steel’s parent company, has also supplied more cash. The amount of capital provided by Cerberus – or whether the hedge fund has taken a direct ownership position in RG Steel – was not disclosed. Thanks to the cash infusion, RG Steel has restarted Sparrows Point, whose steelmaking operations were abruptly suspended on December 22 and more than 600 workers were thrown out of work. Sources at the Baltimore County mill tell The Brew tonight that the company expects to be producing a commercial grade of steel by next week – and nearly all laid-off employees are expected to return to work. Tonight’s announcement does not disclose whether a group of banks, led by Wells Fargo and GE Capital, have eased the terms of a $750 credit facility whose curtailment helped plunge the steel company into crisis last month. Cerberus was founded by Stephen A. Feinberg, 51, a reclusive financier who lives in Manhattan. The son of a steel salesman, Feinberg was raised in Spring Valley, N.Y. He still describes himself as “blue collar,” even though he is a Princeton graduate and takes home as much as $50 million a year. Named for the mythical three-headed dog that guarded the gates of Hades, Cerberus specializes in “providing both financial resources and operational expertise to help transfer undervalued and underperforming companies into industry leaders,” according to its website. Cerberus has stakes in many different kinds of companies, including grocery stores (Albertson’s), bus makers (Blue Bird), life insurance (Scottish Re), Hollywood movies (it owns Spyglass Entertainment, producer of Sea Biscuit, The Tourist and Get Him to the Greek), fast-food outlets, and banks. It is known for investing in troubled industrial sectors. In 2007, the hedge fund purchased Chrysler Corp. from Germany’s Daimler Benz. The investment turned sour, and the Feinberg group lost millions of dollar (though it later recouped much of the losses when it sold Chrysler Financial). Eventually Chrysler had to be bailed out by the federal government. Cerberus is also known as a repository for former high government officials and lobbyists. 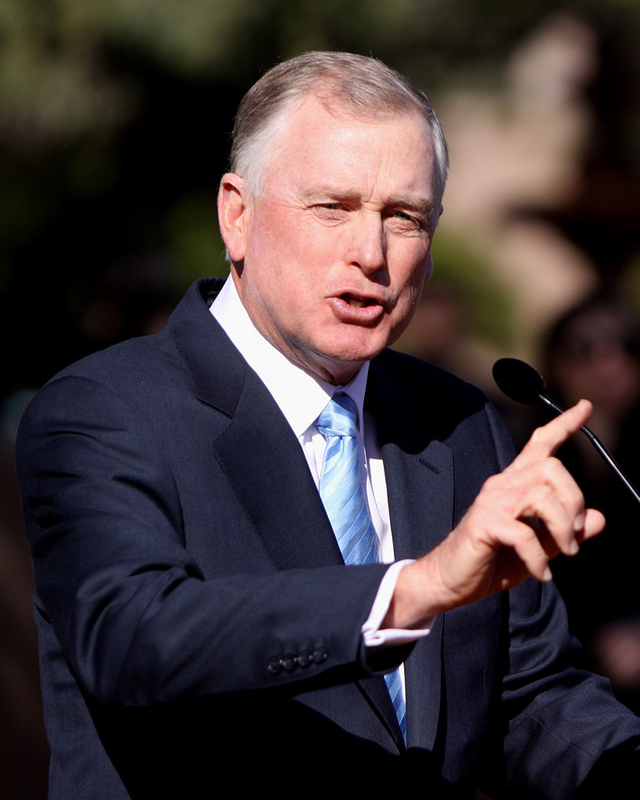 Dan Quayle, U.S. vice president under George H.W. Bush, has served as a Cerberus door-opener in Washington and abroad. He is currently chairman of Cerberus Global Investment. Another government alumni is John W. Snow, who chairs Cerberus Capital Management. Snow was U.S. treasury secretary under President George W. Bush. Before that he headed CSX, the freight railway that serves the Sparrows Point mill. While the cash infusion by Cerberus has allowed Sparrows Point to reopen, the mill’s long-term prospects are very unclear. The steel industry is flooded with excess capacity and prices have remained stubbornly low compared to raw material costs (steel prices have been rising in recent weeks). Several production units at Sparrows Point are obsolete and its customer base has eroded. Over the last six months, the mill has lost as much as $1 million a day, sources tell this website. Some of the losses were due to the company’s strategy of underselling steel in order to increase orders. In tonight’s release, CEO Goodwin put on a brave face.